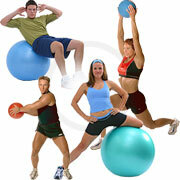 The Swiss Exercise Ball is made from PVC and the Swiss Pro Ball from phthalate free PVC. Polyvinyl chloride (PVC) is recyclable. In fact, PVC is the second most commonly used plastic after polyethylene, but it isn't commonly accepted in curbside programs. Both exercise balls are recyclable in a specialty recycling plant. Look for a specialty recycling plant that has the capacity to recycle PVC. If they accept items like vinyl siding and flooring, they'll probably be able to recycle stability balls. Your exercise ball may have a second life as PVC pipes, flooring or packaging. If your exercise ball is not damaged consider the alternative to recycle it through reuse. You can donate it to a local charity, school, YMCA or recreation center.